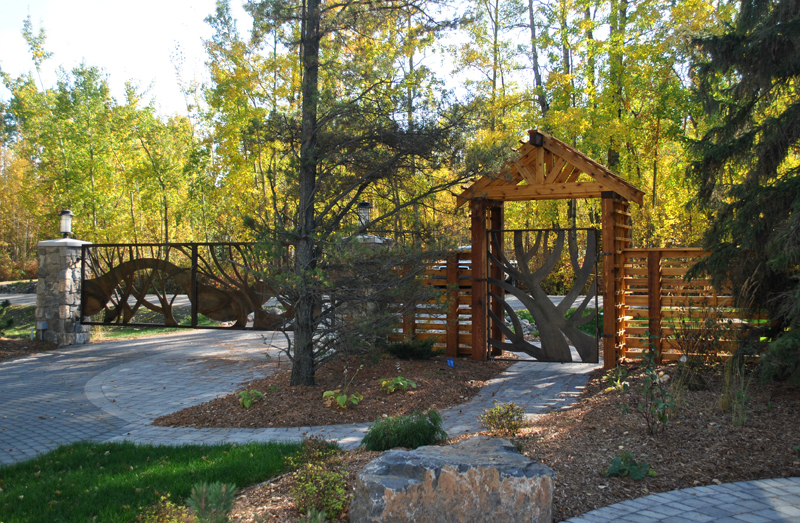 This project was a collaboration with landscape architect Donna Brown. 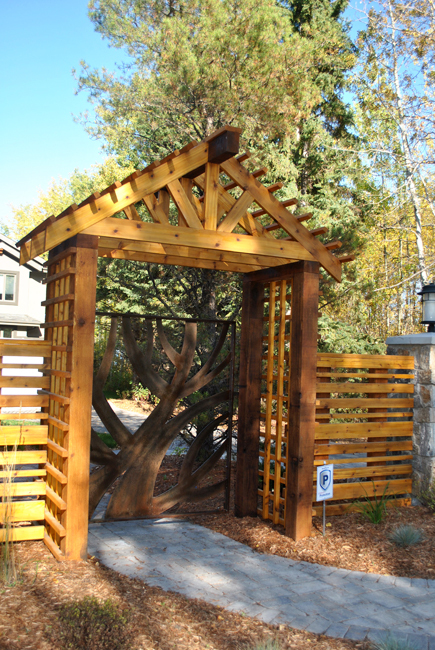 This design makes a bold statement; it is far from a traditional driveway gate. 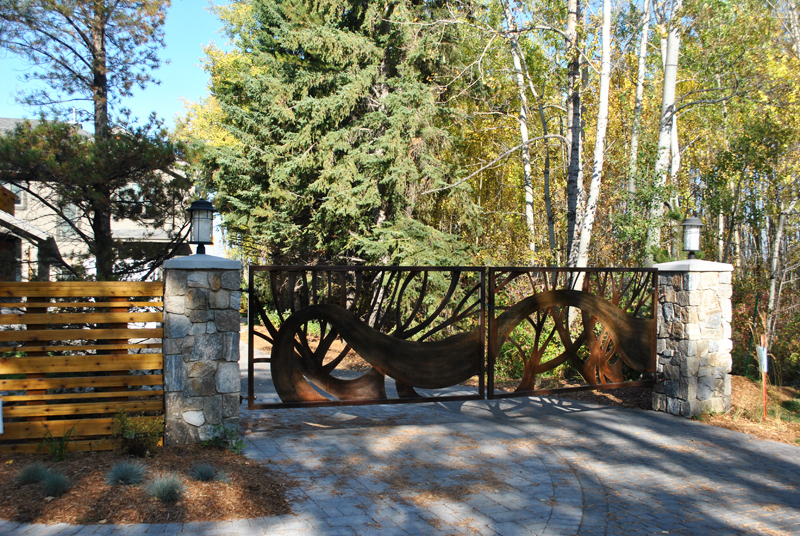 The design was programmed into a computer assisted draft, then sent to a computerized water jet cutting machine.The metal used in this project was 1/4" steel with the branch pattern being overlaid by the swoosh. I applied a patina to the gates to create a warm aged look. Bearings were incorporated into the gate for smooth operation.